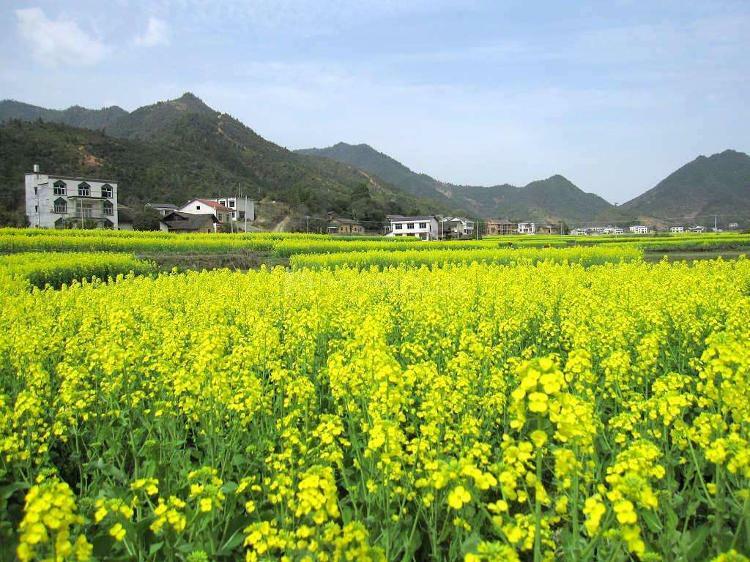 As spring comes, canola flowers start to bloom around Yueyang suburbs. Visitors can appreciate the flowers while enjoy a feast of local delicacies. Liangxinbao Town is at the southwest bank of East Dongting Lake. There are huge canola fields covering more than 40,000 mu (nearly 2,700 ha.). Local residents stage dragon and lion dances, waist drum, and local folk dances in a sea of canola flowers, making a cheerful scene. During the flower season, local agricultural products are popular, including native chicken, eggs, honey, canola oil, spicy bean paste, Baling all-fish feast, and Qianliang Lake ducks. Route: The town is 60 km away from the city proper. Visitors may take the shuttle buses to Liangxinbao, Zhushi, Tuanzhou, or Datonghu, at Yueyang Lianyun bus station. Drivers may drive along Yueyua Road and transfer to provincial highway S202. Jiangnan Town has more than 10,000 mu (667 ha.) of canola fields. 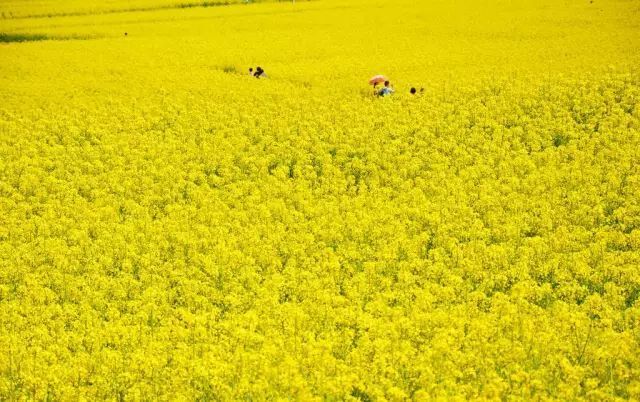 When canola flowers bloom, numerous visitors come to appreciate this golden-yellow land, and also the “three steamed dishes” �C steamed meat, fish, and lotus roots. Route: start from Linxiang downtown, drive northward along Linya Road for 25 km (or along Zuinan Road for 33 km), to Jiangnan Town. 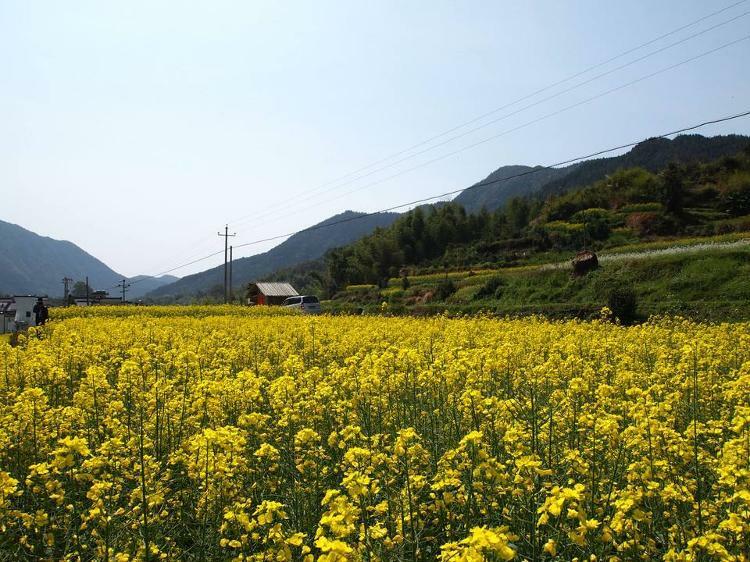 Golden canola flowers scatter along the provincial highway S308 until Changshou Town. In addition to the enchanted flower scene, Pingjiang delicacies are mouthwatering: farmhouse ten dishes, pickled smoked bean curd, and noodles with preserved meat.